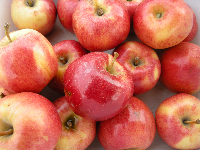 See what's new this week at the Duvall Farmer's Market! 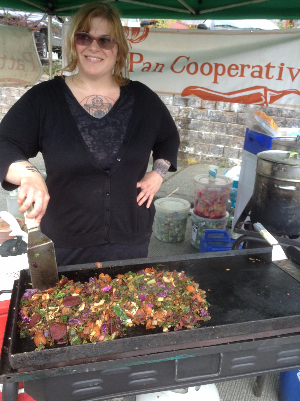 Duvall Farmers Market is happy to welcome Patty Pan Cooperative as our newest prepared food vendor. Patty Pan Cooperative is Seattle's oldest farmers' market concession, selling hot ready-to-eat food at farmers markets since 1997. The business has grown and thrived in tandem with, and as part of, the local foods movement. Patty Pan was founded and run as a sole proprietorship for fifteen years before collaborating with a core group of long-term workers to convert its ownership structure to a cooperative model. It has now been successfully running as a worker owned cooperative for the past two years, with eight collective owners. Patty Pan believes that good food should be accessible and affordable. Ingredients are farm fresh, as the cooperative actively works with local growers to provide as many northwest grown ingredients as possible. The menu consists of comfort foods served with a minimum of fuss, simple hearty fare to feed you on the road and inspire you to cook at home. Their market offerings are fresh tamales with homemade salsas as well as grilled vegetable quesadillas whose ingredients change with the seasons. They source most staples from the farmers who are their friends and neighbors at the farmers markets. The cooperative is now also making their own fresh tortillas from locally grown organic wheat. By buying grain from local growers, they continue to cycle funds back into the closely knit farmers' market economy, as well as quesadillas that are now tastier and healthier. The Tortilla Project comes with thanks for the support from donors who gave generously to a Kickstarter campaign to help purchase the necessary equipment. The funds provided not just the practical tools to get started, but the enthusiastic support was a reminder how lucky they are to be part of a closely knit extended community. Nearly $9000 was raised towards this effort. Butter, soft cheeses, hard cheeses. NEW! Quail Eggs will be on sale at the CV booth! Australian-style savory and sweet pies. Fresh vegetable quesadillas. Beef, pork or vegetarian tamales. Whole wheat, organic tortillas by the dozen. Wood-fired thin-crust pizza with choice of toppings. Small lot bottled wine. Wine tasting is offered this year! Come to the information desk to scan your EBT card and double your spending power with tokens for use at the market. Duvall Farmers Market will match the first $10 of EBT and WIC and Senior WIC FMNP vouchers. Please come to the information desk to receive your tokens for purchasing fresh fruits and vegetables. Please use the designated Farmers Market parking in the lot by the Union Bank building or parking available on the surface streets. Please leave the parking lots around the market for the businesses' customers. Cash machines are available inside the Texaco station. Also note that our market accepts debit and credit cards with a small processing fee - 30 cents for every $10.